This holiday season, treat your friends, your family or even yourself to genuine, student-made artwork. 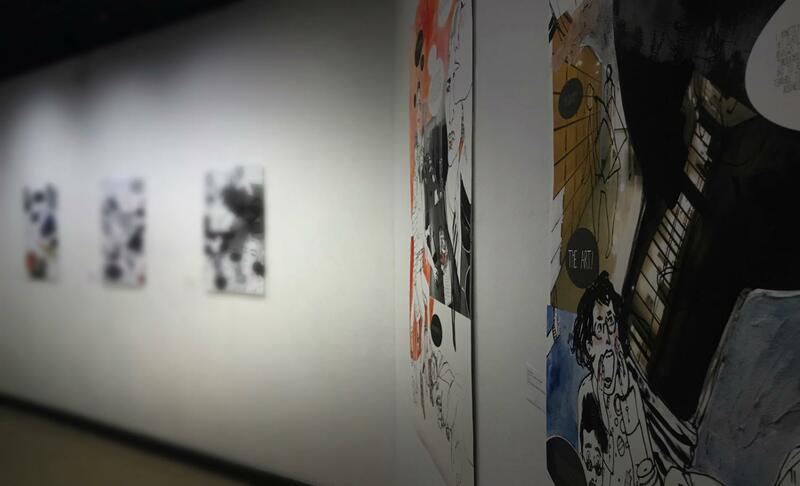 “Let’s Talk About Art School,” a series by painting and drawing major Elise Radzialowski is displayed in the Projects Gallery at the Myers School of Art. The art school will be hosting its annual Holiday Shop where students like Radzialowski will be able to offer their creative works for sale as gifts for the holidays. In time for the holiday season, the Myers School of Art at The University of Akron is once again featuring its annual Holiday Shop. An affordable alternative to looking for a store-bought gift, shoppers will be able to purchase genuine, handcrafted gifts for friends, loved ones or even themselves while supporting the many student artists at UA. The event also allows the public a chance to catch a glimpse of the student-made art showcased in the art school nestled on the edge of campus on East Exchange Street. Gifts of all kinds created by students, faculty and staff of Myers, will be available for purchase. Items include cards, ceramics, jewelry, journals, ornaments, paintings, prints and stationery, among other things, according to the art school. The Holiday Shop, held in the Emily Davis Gallery at the Myers School of Art, is located at 150 East Exchange Street, adjacent to Exchange Residence Hall.